Travertine has been used for thousands of years and can be used for both commercial and residential projects. It is a natural stone with a unique pattern that creates a one-of-a-kind appearance and is most commonly used for vanities, fireplace surrounds, floor tiles and wall applications. It is considered to be an affordable solution for many projects. Turkey produces most of the world’s travertine, but many other countries also have travertine quarries. Travertine is used frequently for exterior applications because in its natural state it is able to withstand all types of weather conditions. Some famous buildings that used travertine include the Coliseum in Rome and the Getty Center in Los Angeles. 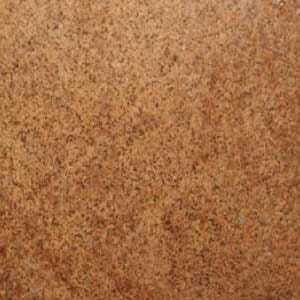 The most common characteristic of Travertine are the small, natural holes you will find in the material. This can help give your project a very earthy and natural appearance. When used in bathroom vanities these small holes are filled with resin or cement so that the surface of the stone is smooth on the front. You can always determine whether a stone is a travertine by looking at the back of the slab. If you find small holes in the slab then the material is a travertine. Browse through our unique travertine and newest arrivals. Colors and products may vary by location, so contact the location nearest you for more information on current inventory. Appearance: Most natural travertine is dark, ranging from ecru to dark red, with a variety of vein colors. Features: Natural travertine is softer than marble or granite and should be sealed to avoid scratches. Care: Wipe down travertine regularly with a clean, damp cloth and dry with a towel. Avoid abrasive, bleach or caustic cleaners, as these can stain, etch or dull the appearance of the stone. Onyx is a beautiful stone that is often used as a design element. Most onyx slabs are translucent, which allows the onyx to be backlit. This can really bring out the color and beauty of the stone and your designs to create a focal point. Iran, Turkey and Mexico are the biggest suppliers of onyx blocks, but most onyx is still cut into slabs or tiles in Italy as that country has the best, most advanced equipment to produce this somewhat fragile material.